Clove oil benefits include it's unique ability to ease pain of a toothache or other dental issues, but it can also be used for skin problems like chronic acne, wrinkles, sagging skin, inflammed irritations, and to stimulate blood circulation for rejuvenation of skin appearance. Clove oil comes from the flower bud of a clove evergreen tree, and is then dried, grounded into powder, and converted to an essential oil. It was commonly used in early Indian cultures for it's medicinal properties, as it is high in manganese, potassium, magnesium and calcium. Because this oil is a natual antiseptic, it can be used for cuts, wounds, bruises, insect bites, fungal infections, and scabies. The most powerful property of this oil is eugenol, which helps to make it a useful alternative to traditional medical therapies. As a booster for the immune system, clove oil has antiviral properties that helps it purify the blood, and improve ability to ward off disease, ridding the body of free radicals. Clove oil is also used to treat indigestion and other stomach troubles like flatulance, motion sickness, nausea, vomiting, and cramping. For diabetes control, clove and cinnamon combined, produce the most positive results in lowering blood sugar. Clove oil for severe acne has shown that it has great anti-microbial properties to fight Staph aures, which is the cause of severe acne. Mix a few drops with honey for a great face wash, or a few drops with witch hazel for a great toner. It has been known as a great oil to use for toothache and gum disease, but new studies show clove not only decreases decalcification, but also helps to remineralize teeth. As a powerful antioxident, clove is known as the most powerful protective herb for reversing the damage of free radicals that cause cell death and some cancers. Antioxidents also slow aging, and protect from virus and bacteria. Diffusing clove oil into your home helps to clean the air and reduce daily stress, helping to breathe deeper and relax the mind and body. Learn more uses for this healing oil. 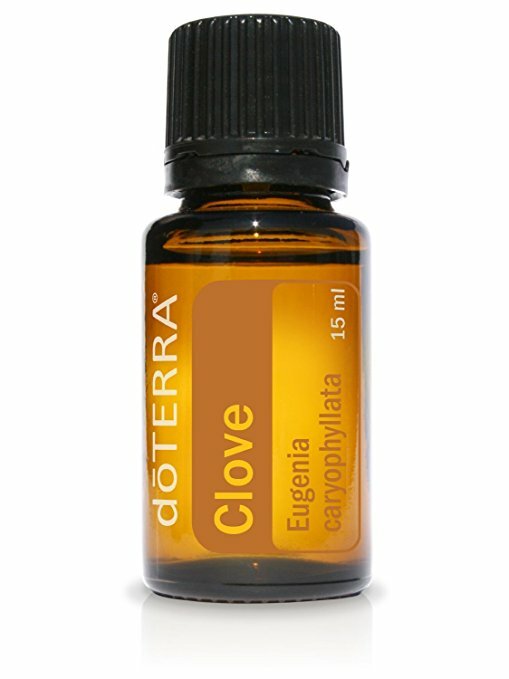 Read more about clove oil benefits on the Doterra Blog.